Finally, summer is here and the warm weather came with it (thankfully!). To most of us, this means we are stepping up our workout game and working to be in better overall health for the beach or to enjoy our favorite activities like hiking, swimming, and playing outdoor sports. 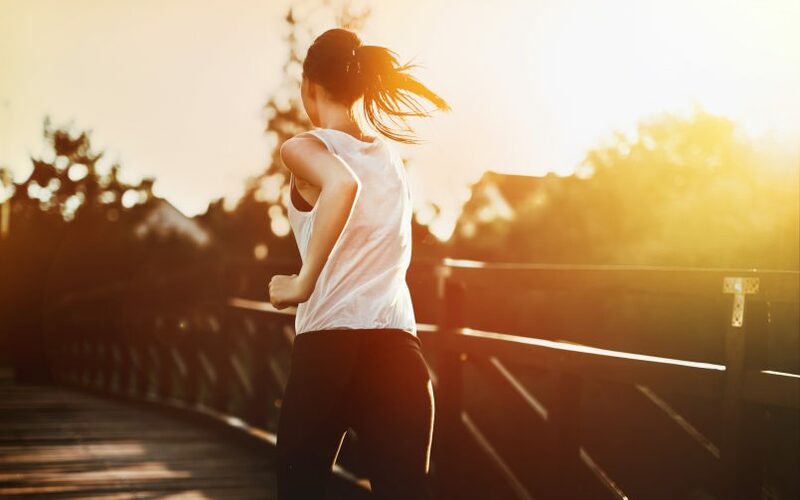 When you get back into it after a long winter of rest or even a slightly less rigorous exercise schedule, running outside again might feel difficult. What happened? Cardiovascular training brings great benefits, including improvements in insulin sensitivity, better cholesterol, stable blood pressure and fat loss. While you’re in a regular running schedule, your respiratory health and ability greatly improves because your body is conditioned to take in and use a greater amount of oxygen per minute. Yes, these benefits are all great, but there is a downside: the benefits of cardiovascular training go away quickly if you become dormant. Once you stop running (or any other cardiovascular exercises for that matter), your aerobic health begins to recede. You might begin to feel easily fatigued and slightly sluggish within two weeks of stopping running. This is because your body isn’t being pushed to increase its oxygen intake/use on a regular basis. Along with your lowered respiratory ability, improvements in insulin sensitivity and the presence of good cholesterol decrease. There are results that will stay with you, though: the fat you lost while running will stay off (if you stick to your nutrition plan) and your blood pressure should stay regulated. The rise and fall of the above benefits is the main reason why running or performing cardio again will be so hard after a long break. Your first instinct might be that you’re “out of shape” or just aren’t built for it anymore. This is untrue! All of your same results will come back more quickly the more you run, bike, swim, you name it. The longer, harder and faster you train during the season, the easier it will be to get back after each off season. Running or trying a spin class for the first time? You will feel the same as someone who had a long break. Your lungs will ache, you will need time to adjust to the physical changes required to perform the exercise, but ultimately, you will cross the threshold and learn to love your chosen exercise. Of course, all forms of exercise require proper form and body awareness, so if you have any questions about which type of exercise is best for you, come meet with me! Call 920-499-3333 and I’d be happy to set up a consultation with you. Now that we know what happens when we take a break for a few weeks, what can we do to prevent this loss of aerobic fitness to begin with? Well, it’s harder than you might think. Maintaining aerobic health requires three days of rigorous training per week, whereas the maintenance of strength/muscular fitness only requires one day per week. It’s best to cross-train and incorporate many different types of training. Perform resistance training one or two days per week, then add different forms of high intensity training for three to four. Run, perform CrossFit, cycle, swim – whatever you enjoy most! Having a schedule for your exercise is great (and prevents you from losing all the awesome benefits) but don’t wear yourself out. Don’t be afraid to take breaks – whether in the winter or on your next vacation. Though it’s tough to get back into your cardio groove, it’s always worth it. Your mindset is everything when it comes to succeeding in regaining your strength or cardiovascular health: push yourself and enjoy the rewards!